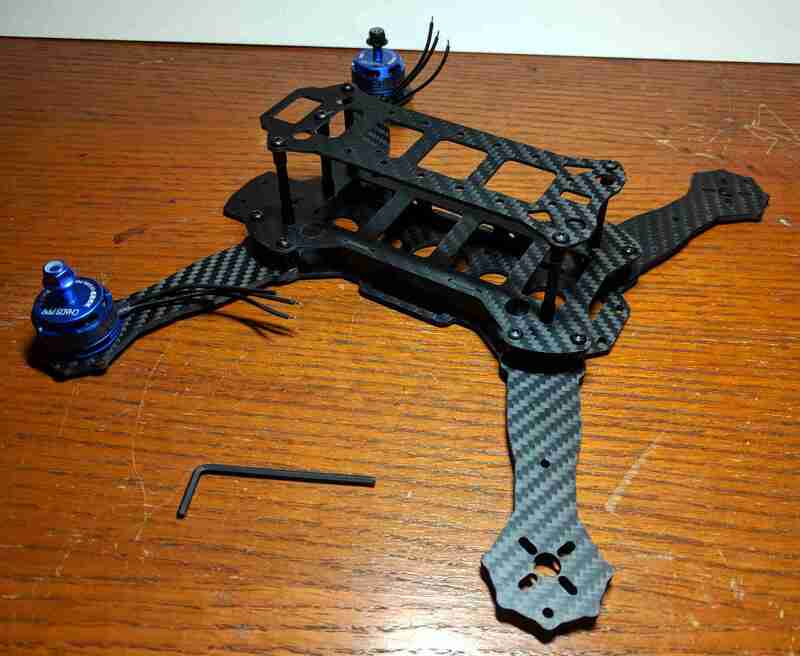 As soon as the frame was built, I wanted to attach the motors to see how it looked and check that the propellers I’d ordered would fit without hitting the frame. When I first opened one of the motor boxes I thought that the manufacturers had been exceptionally generous by providing twice as many screws as necessary. I then noticed that some are shorter than others. I used the shorter screws to attach the motors to the frame because they seemed sufficient and the longer ones looked like they’d go further into the bottom of the motors that I was comfortable with. There are two types of motor, or so I thought. 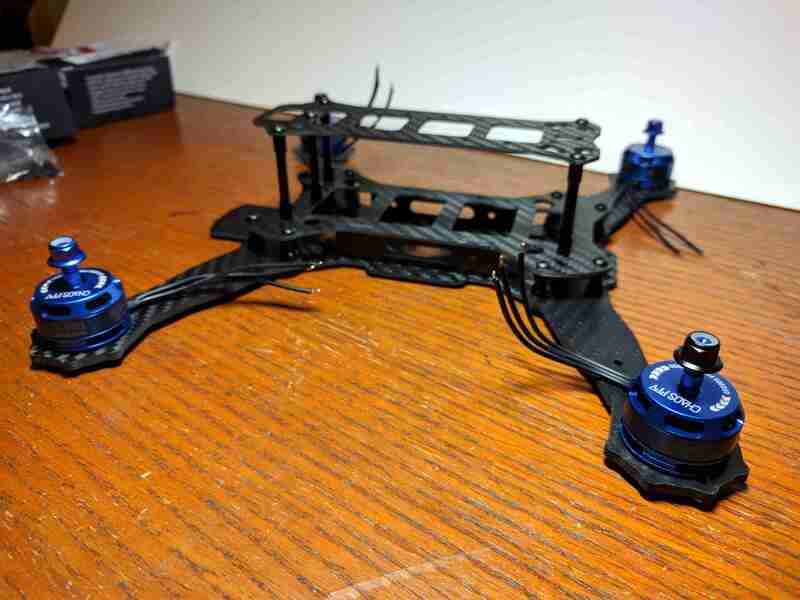 When buying them you can usually choose either Clockwise (CW) or Anti/Counter-Clockwise (CCW), as for a quadcopter you want two propellers spinning CW and two CCW (though it might be fun to experiment with what happens if you don’t – I suspect the quadcopter will spin). I didn’t think too much about this and assumed that there was some sort of optimisation inside the motors for turning in a certain direction. Apparently the only difference is the threading on the spindle and nut such that when spinning in a certain direction, the nut will self-tighten, as opposed to undoing itself. 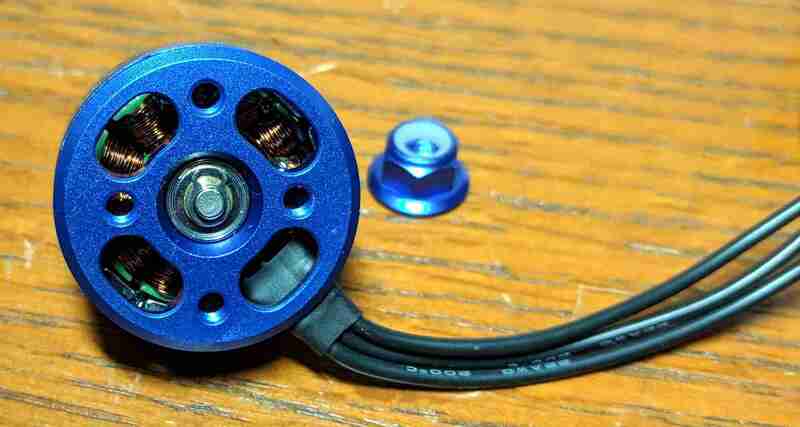 The motors I bought are 2300kV, which I believe means they will turn at 2300rpm per voltage of input. I have glanced over some discussions of what this means and what I took away was that a lower number will provide more power at a slower speed, and vice-versa. 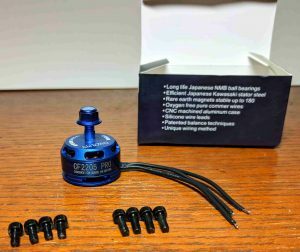 I’m hoping that these motors will be just about powerful enough to turn 6″ propellers fast enough to lift my quadcopter, though I haven’t done any calculations. 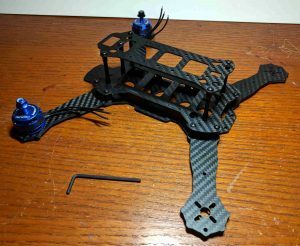 There is a table on this page which seems to suggest that for my frame size I want to use 2000kV-2300kV motors with 6″ propellers. 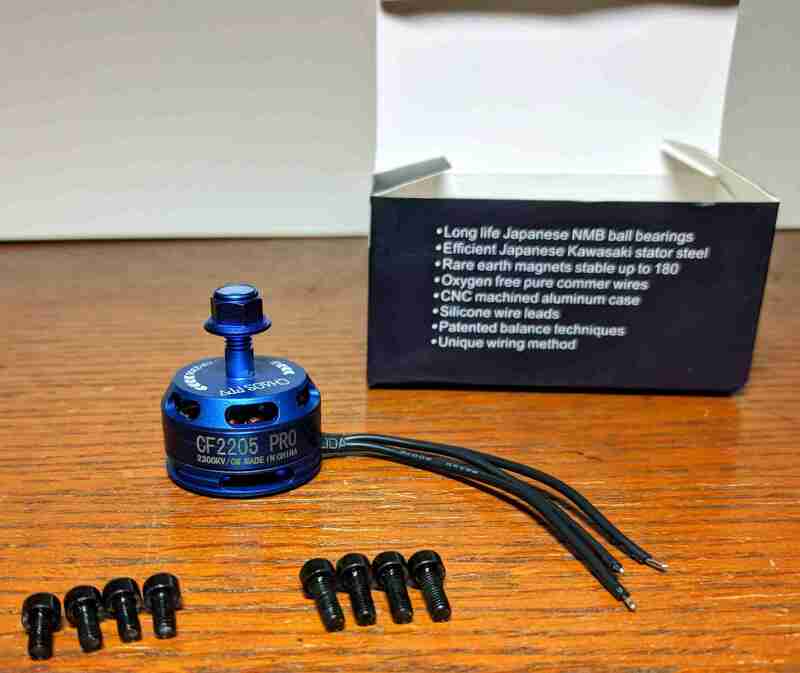 Ideally I would have got 2000kV motors, but the website I was ordering from had a convenient and well priced combo pack which seemed like the easiest way to get started.